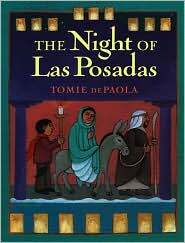 • The Night of Las Posadas, a 1999 book by Tomie dePaola, tells the story about a local community trying to present the reenactment of Mary and Joseph’s journey through Bethlehem. Pam Munoz Ryan’s 2005 book There Was No Snow on Christmas Eve is another story about the nativity. 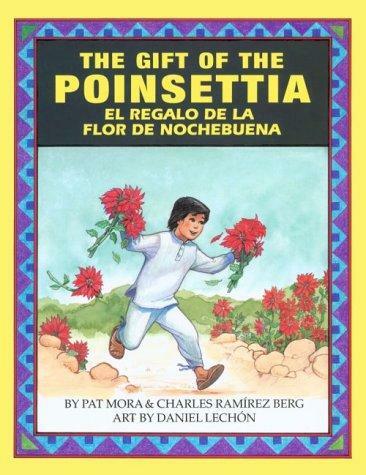 • The Gift of the Poinsettia, a 1995 book by Pat Mora and Chris Ramírez Berg, depicts a young boy’s quest to get the perfect gift for the baby Jesus. Mora also wrote A Piñata in a Pine Tree: A Latino Twelve Days of Christmas. 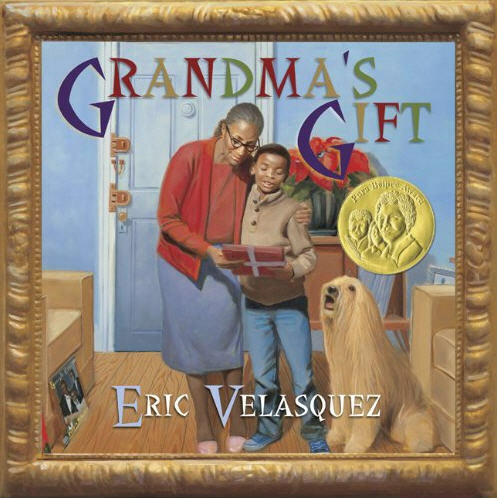 • Puerto Rican author Eric Velasquez won a Pura Belape award for his 2011 book, Grandma’s Gift, about a young boy creating the perfect Christmas present for his grandmother. • Alma Flor Ada, who is of Cuban descent, has written several Christmas books, including The Christmas Tree/El Arbol de Navidad and Celebrate Christmas and Three Kings Days with Pablo and Carlitos (with F. Isabel Campoy). 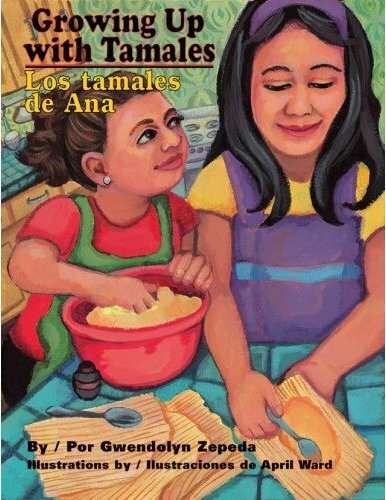 • Growing Up with Tamales/ Los tamales de Ana by Gwendolyn Zepeda in 2009 depicts a great Hispanic Christmas tradition. 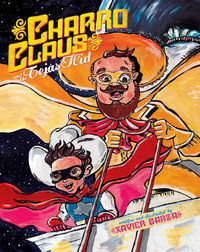 • And, finally, the 2008 Charo Claus and the Tejas Kid by Xavier Garza, gives a South Texas twist to the Christmas tale. Got another great Christmas book to recommend? Make suggestions in the comments. Isabel Campoy and myself have also written Merry Navidad (HarperCollins). The original Villancicos or Christmas carols in Spanish have been recreated in English by Rosa Zubizarreta retaining the rhythm that allows to sing then to the original music. The poem/songs have been organized in section, following the different moments of the Christmas story to end on January 6. Vivi Escriva’s extraordinary illustrations present different scenes from the Spanish-speaking world. La jaula dorada with an English version The Golden Cage is part of the series Stories the Year ’round or Cuentos para todo el anno (Santillana/Alfaguara). Nicolas wants to give his grandmother a present for Christmas. How will he decide which is the perfect gift? A story that highlights the value of freedom. Thanks for providing this information. Feliz Navidad to all your readers. You may like my Christmas book for children, The Rescueteers’ Christmas Mission. I am getting great reviews. I am reading the entire story on YouTube. Give the kids a real treat and Let them hear a little Irish storytelling over the Holidays. On my website, http://www.nannyreilly.com, I am also giving a free mp3 & ebook away of my first children’s novel Nanny Reilly.